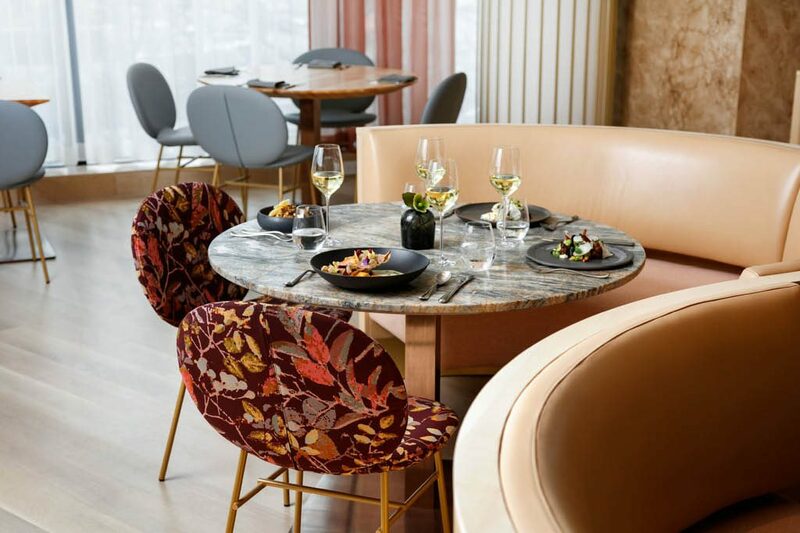 Scoop out a piece of British Columbia’s lush shrub and give it a home: this is Botanist, a new restaurant located on the second floor of the award-winning Fairmont Pacific Rim Hotel. The true highlight of Botanist is its glass-encased garden, littered with some of area’s ecological treasures – fruit bushes, green tea camellia, ginger. Somewhere to linger as you clutch your Old Cuban and a refuge after a long day in officeland. Continue your journey through to the dining room, an aesthetically faultless mix of materials like limestone and whitewashed wood, with hints of metalwork. It’s the ideal backdrop for the intricate plating of executive chef Hector Laguna, who pulls ingredients from backyard suppliers, and turns dishes into works of art. Standouts on the dinner menu include a pan-seared halibut that swims in a crisp-white crab emulsion, and a delicate cavatelle in a vegetable ragu. Peer down at your meal; it’s likely to resemble the flora of a forest floor. Who knew root vegetables could be so fetching? Now glance over at your companion: they’re just as taken with Botanist as you are.